Life is hard. Relationships, work, and adulting in general present constant challenges. 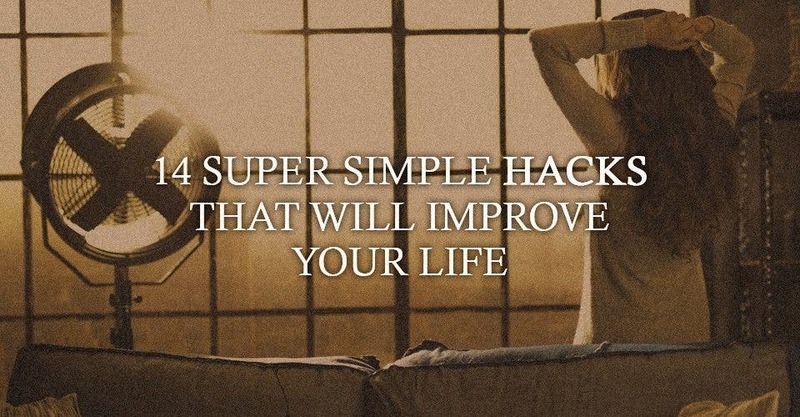 Here are fourteen useful life hacks to make it all just a little bit easier. – ride a roller coaster, go skydiving, or play bumper cars. The adrenaline rush will mimic the thrill of falling in love, and they will associate that feeling with you. and you’ll be less likely to forget it. 3. If someone is angry with you, stay outwardly calm. Either they will alter their tone and demeanor to match yours, or they will explode and then feel silly for overreacting. Either way, your choice to maintain your composure will put you in control of the confrontation. 4. If you want someone to say yes to you, nod as you speak. A positive response will seem natural. 5. When you meet someone new, try to notice their eye color. This requires an amount eye contact that will come across as intense but not intimidating, which will make them feel more connected to you. 6. If you need someone to do you a small favor, ask for a larger one first. They will be more likely to agree to a small task after turning down a bigger one. 7. Want to know if someone likes you? Wait for a joke. When people laugh in a group, they instinctively turn towards the person they feel the strongest connection to. 8. If you work with difficult people, put a mirror in your office. We are more conscious of our bad behavior when we can see ourselves doing it. 9. If someone does not answer a question to your satisfaction and you’d like to know more, do not follow up with more questions. Maintain eye contact and stay silent. They will likely offer more information on their own. 10. Before an interview or a first date, imagine you and the recruiter/romantic prospect have been friends for years. Your comfort will read as confidence and security, and you will seem to belong in their life. to make them feel more comfortable and in sync with you. 12. When you’re not sure if somebody wants to get out of a conversation you are having, check out their feet. If they are pointed towards you, they are engaged. If not, they are ready for your interaction to end. – it will trick your brain into thinking you really are. This is manifestation at work! in a group setting, stand next to them rather than across from them. This will subconsciously make them feel like you’re on the same team. Those are my favorite shortcuts for seeming like a cooler, more confident person than I really am. What are yours?